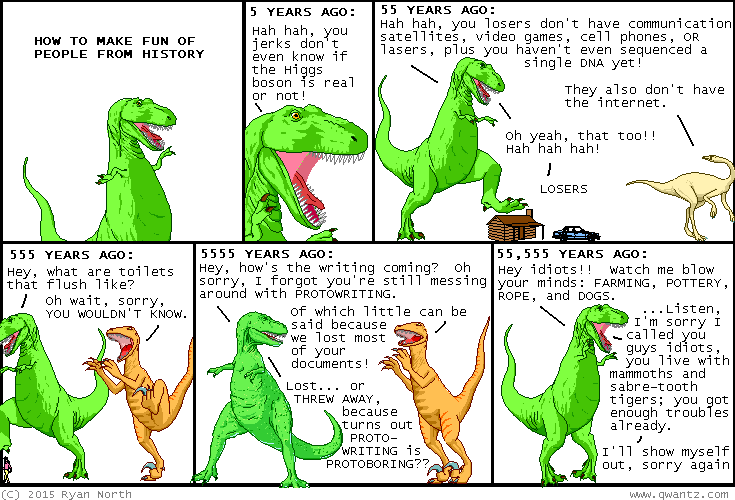 Dinosaur Comics - September 14th, 2015 - awesome fun times! September 14th, 2015: If you ever get blasted in back time, it's good to be prepared! Not just for the technology, but also for the sick burns.